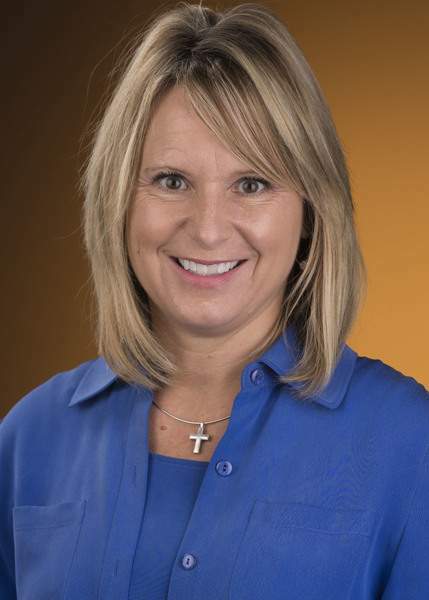 Kathie Fleck, a public relations faculty member at Ohio Northern University, is a former executive assistant/communications director for the Indiana secretary of state and executive director of the Allen County Republican Party. Indiana Sen. Joe Donnelly has been engaged in an intense game of Whac-A-Mole – trying to knock down all the threats to a successful re-election bid. The latest, and perhaps one of the most difficult moles to whack, will be his vote on President Donald Trump's nomination of Judge Brett Kavanaugh to the U.S. Supreme Court. Donnelly's official statement indicates he will “carefully review and consider (Kavanaugh's) record and qualifications.” It then mentions a recent meeting with Trump at the White House where they discussed the Supreme Court opening prior to Trump's announcement. This is Donnelly's attempt to have it both ways – not committing support, but indicating he and Trump are in close consultation. It's also a media relations tactic Donnelly has perfected over the years. To date, his campaign has focused on less controversial issues such as addressing the opioid epidemic, supporting veterans and passing his recent “right to try” legislation. And he's avoided partisan labels, telling NPR in a recent interview, “I'm not trying to tie myself to one label or another label. My label is a Hoosier label. My label as an American label.” That PR approach may have worked without a heated confirmation battle on the horizon, but today, it's a different story. With control of the Senate in the balance, Republicans have targeted Donnelly's as a key race to win in 2018. This means he'll need all the money and resources he can get from Democrats inside and outside of Indiana. Even then, it won't be easy. A recent Axios/SurveyMonkey poll already shows Donnelly with a two-point deficit to his political newcomer Republican challenger, Mike Braun, an ardent Trump supporter. Combine that with the fact that 22 Indiana counties that went for Donnelly in 2012 switched to Trump in 2016, and the senator's political position becomes even more dicey. Following Trump's announcement, high-profile Democrats and liberal groups held a rally on the steps of the Supreme Court vilifying the nominee, saying he poses a threat to abortion rights and health care protections. Donnelly's response was another attempt to have it both ways in a tweet saying that “more than 1.5 million Hoosiers have pre-existing conditions – a fancy term for asthma, pregnancy, cancer, or arthritis. We will not go back to the days where people who suffer from them can't get health insurance.” This is a tactical nod to concerns about health care but devoid of any mention of abortion. Eroding health care protections is a concern to many on the left, but the overwhelming commentary has been about the possible repeal of legal abortions. This is where liberal groups will likely invest time, energy and money to fight against Kavanaugh. And here is where Donnelly will need to decide which mole to whack. His choice is to support a nominee whose record and affiliations point to a pro-life stance and anger those on the left whose resources and votes he needs or to vote against a nominee who will have the support of his challenger and a sizable portion of Hoosiers and risk losing votes he can't afford. The timing and the dilemma couldn't be any more perilous. Working in Donnelly's favor is that he voted yes on Trump's first Supreme Court nominee, Neil Gorsuch. In fact, a fivethirtyeight.com analysis shows Donnelly has voted 70 percent of the time in favor of Trump's nominees. And most recently, he was one of three Democrats who voted for a bill that would have banned abortions after 20 weeks of pregnancy. The bill didn't get the votes needed to end debate, but the message was sent. The question is whether voters are paying attention. A recent USA Today article named Donnelly one of six senators who will make or break Kavanaugh's nomination, saying “of the 49 senators who caucus with the Democrats, Donnelly may be under the most intense political pressure over this vote.” Ironically, Kavanaugh's confirmation may also make or break Donnelly's re-election bid. And the moles will just keep coming.